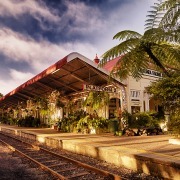 Greetings from Tropical Port Douglas and thank you for your interest in Quicksilver. With the widest range of Great Barrier Reef experiences, Quicksilver offers a choice of award-winning day trips to the magnificent Outer Barrier Reef and the idyllic Low Isles. 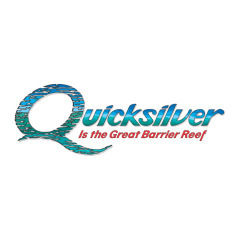 Quicksilver was founded in 1979 with one vessel, a catamaran, which took guests to the Low Isles. This was the first ever commercial trip to these idyllic coral cays, and visitors coming to the small fishing village of Port Douglas, just north of nearby Cairns, were quick to embrace the concept. 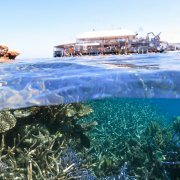 Just a few years later in 1983, Quicksilver pioneered Australia’s first true Outer Barrier Reef cruise, travelling right to the ribbon reefs at the outer edge of the Continental Shelf - one of the very best locations to experience the full majesty and elemental force of this unique natural wonder. Today, Quicksilver has become a highly sophisticated company with a fleet of the most advanced Australian made cruising vessels. They have been honoured many times with awards and voted Australia’s best tour operator, but can only take half the credit. Nature provides the reef and they are proud to take you to where the very best of nature's work is found. Quicksilver are committed to sustainable environmental practices and ongoing conservation for future generations to enjoy. their Reef Biosearch environmental division is led by the largest team of marine biologists outside of a government agency! In fact, Reef Biosearch has the longest logbook database of marine observations on the Great Barrier Reef, ongoing for over two decades. All of the tours are accredited with Advanced Ecotourism Certification and each day, the team of marine biologists are also on hand to ensure their guests gain an appreciation of the World Heritage environment. 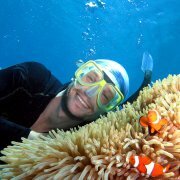 They are sure you will enjoy your day with them, experiencing nature's finest with Australia's best.